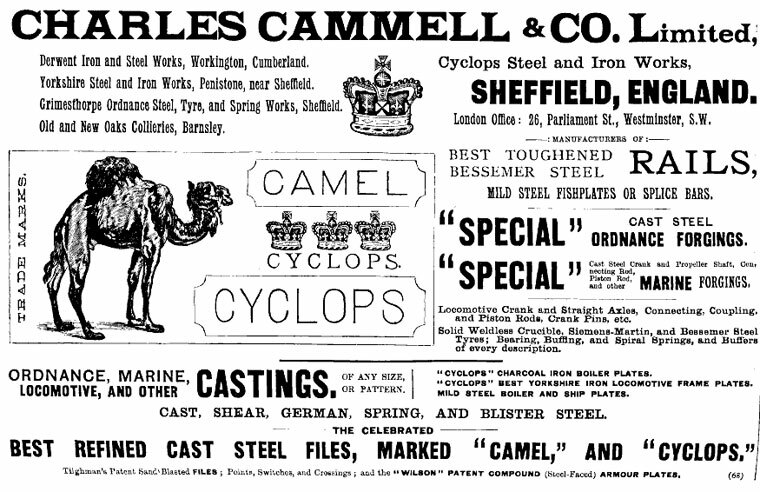 Charles Cammell and Co, of Cyclops Steel and Iron Works, Sheffield. 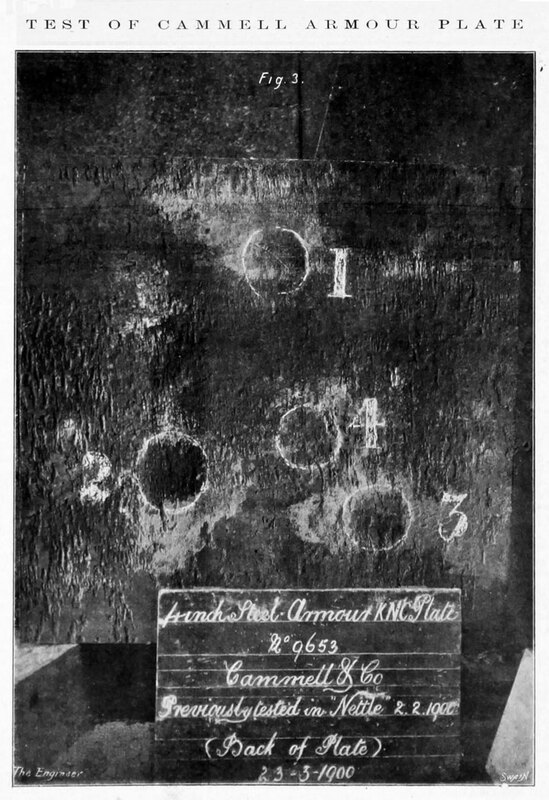 1863 Began making armour plates. 1864 The business was converted into a limited company. 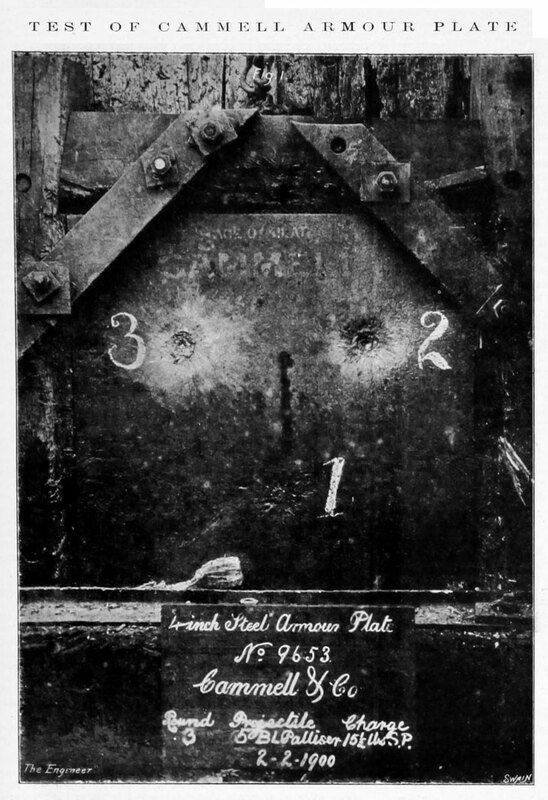 1865 Acquired the Yorkshire Steel and Iron Works, at Penistone. 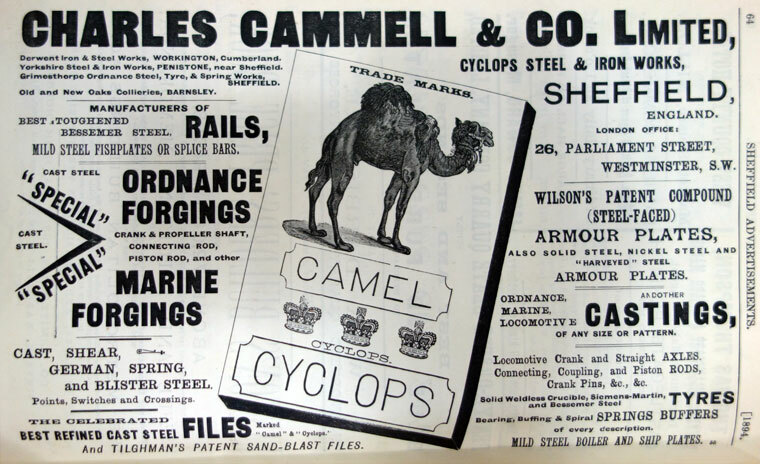 1870 Factory opened in Dronfield, manufacturing railway wheels and steel rails (see Wilson, Cammell and Co). 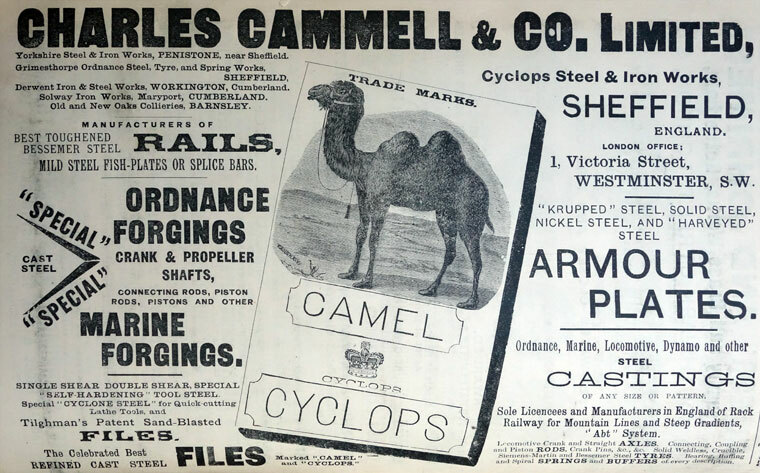 1876 Of Cyclops Steel and Iron Works, Sheffield; the Yorkshire Steel Works, Penistone; and the Oaks Collieries near Barnsley. 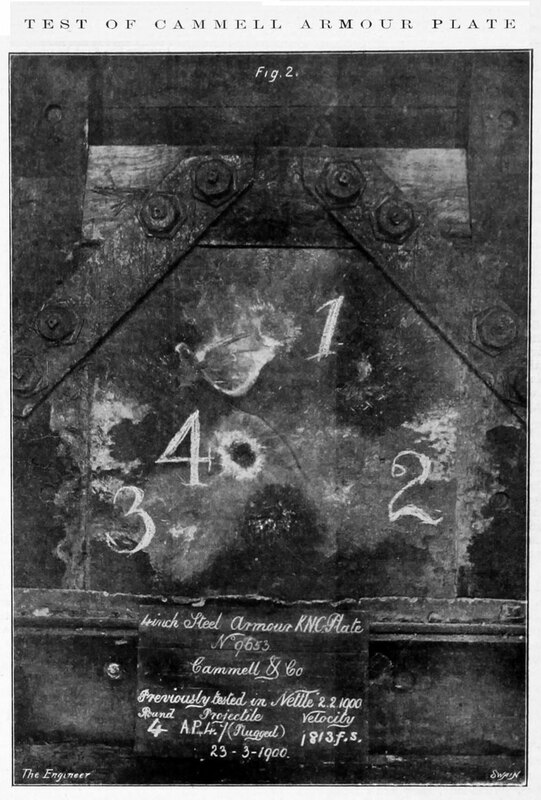 1882 Company acquired the combination of Dronfield Steel Works and the Derwent Iron Co - Derwent Steel and Iron Works at Workington. Other iron mines near Whitehaven. 1894 John Barker, the manager of Grimesthorpe, retired after 45 years service. 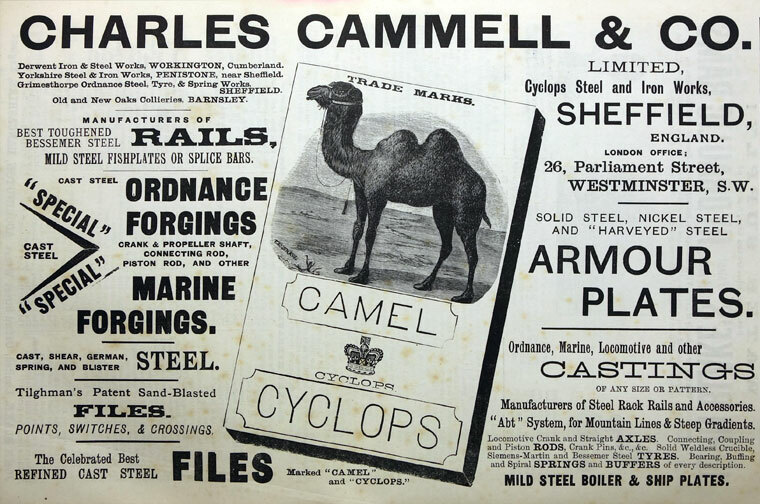 1898 Became a public company as Charles Cammell and Co. The company was re-registered on 4 January in connection with a reconstruction of the capital. ↑ The Engineer 1903/03/20 p 302. This page was last edited on 3 December 2016, at 08:17.